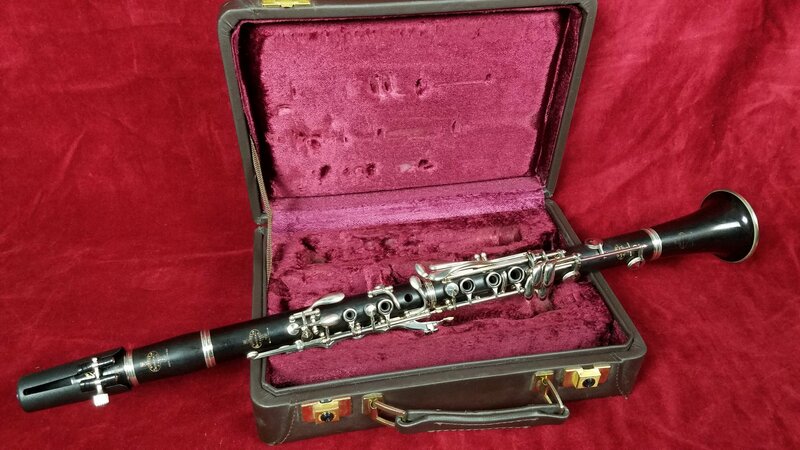 Vandoren M13 Profile 88 included. Rovner Dark ligature included. Case has some cosmetic wear on one end but the handle, latches, hinges, shells, and lining are all in great shape. Just re-padded and nickel keys polished. Ready to play!